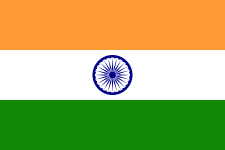 Think Tank Watch: Will the Indian Gov't Sue AEI? Will the Indian Gov't Sue AEI? India's new Prime Minister Narendra Modi touches down in Washington, DC to an array of meetings and feasts this week, but one organization that will likely stay far away from all the feting is the conservative think tank American Enterprise Institute (AEI). Why? Tensions are quietly rising between the government of India and the conservative think tank American Enterprise Institute (AEI) because India thinks that the think tank is running a smear campaign against the Indian pharmaceutical industry. According to The Economic Times, the Indian government is considering legal action, including launching a defamation suit against Visiting Scholar Roger Bate, who, along with a group of researchers recently published a study alleging that Indian-made drugs sold in Africa are inferior and poorer in quality than those sold in India and other middle-income countries. The Economic Times quotes an Indian government official as saying that the AEI study does not follow basic protocols of scientific rigour and methodology, and notes that legal consultation is being pursued through India Brand Equity Foundation (IBEF), a trust set up by India's Ministry of Commerce & Industry. Here is more of what IBEF had to say about the study. The study in question, titled "Poor Quality Drugs and Global Trade: A Pilot Study," can be found here or here. On September 17 Mr. Bate and Aparna Mathur penned a piece in Forbes titled "India Must Fix Its Drug Quality Problem." Earlier in the year, Mr. Bate penned a few other pieces bashing Indian drugs, such as this one, and in 2013 he said that India has the world's most isolationist drug industry. Pharmaceutical quality (and think tank) issues reportedly are not on the formal agenda for Modi-Obama for now. By the way, here is some AEI analysis about the Modi visit to the US. Last week, AEI held a Google Hangout event on Modi's visit to the White House and US-India relations. Also, this month, AEI scholar Derek Scissors penned a piece in Foreign Affairs titled "Modi Misses the Mark." The US pharmaceutical industry is a big supporter of US think tanks. Oh, remember when Pharmaceutical Research and Manufacturers of America (PhRMA) threatened to cut funding to the Center for Strategic and International Studies (CSIS) in 2003 in retaliation for a seminar that featured a paper arguing for relaxing patent protections on life-saving drugs? Even though India-AEI tensions may be high, Modi did speak at the Council on Foreign Relations (CFR) on Monday. The government is considering legal action, including launching a defamation suit against US think-tank American Enterprise Institute research scholar Roger Bate, for maligning the country and running a smear campaign against the Indian pharmaceutical industry through a recent study, government officials told ET. "We are exploring all legal options, including a suit against this set of individuals who have started a malicious campaign against the country and its drug industry through ..